Published in the collection, Poems of American Patriotism, chosen by Brander Matthews (1922). 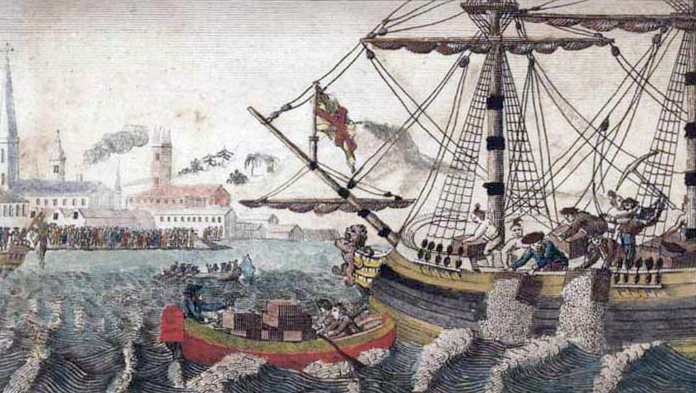 [Sidenote: Dec. 16, 1773] This poem was read in Faneuil Hall on the Centennial Anniversary of the "Boston Tea-Party," at which a band of men disguised as Indians had quietly emptied into the sea the taxed tea-chests of three British ships. Make sunshine in her brain. And round the globe your voices reach. To the good an equal friend. Shield all thy roofs and towers! Thou darling town of ours! Add Boston to your own personal library.